Welcome to the 2019 edition of Gran Fondo Ephrata, one that is sure to go down it the history books! Over the years we’ve been through a lot here at GFE, sleet, wind, rain, but nothing quite like the winter we’ve just had/still having. Good news! The end is in sight! It is supposed to be warming up all week, with a high of 47 on Sunday. With that however, comes the thawing mess that has turned every one of our gravel roads into a quagmire. 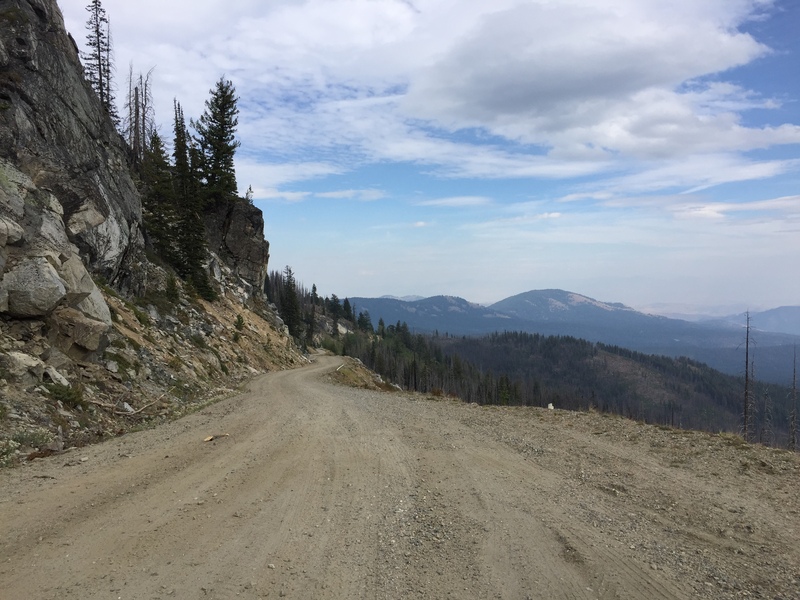 Fear not though, we have two all pavement rides that are clear of snow and just so happen to be pretty rad (pending permit approval). That’s right, these are our local go-to rides that we are actually pretty stoked to share with you. 2019 GFE Grande: 78.6 miles, 5296′ This route is a Vicious Cycle winter classic, it has epic scenery through Moses Coulee with an endless wheat land roller coaster on Whitehall Rd, and a lap on our 17 mile medio circuit to finish it proper. 2019 GFE Medio: 34 miles, 2450′ This hilly 17 mile circuit is our local favorite, that is often our Monday night group ride. Medio riders will do two 17 mile laps. We realize this is not what everyone was expecting, us either, what little gravel is not buried in snow, is such a deep, muddy mess it’s unrideable (don’t ask how we know). You’ll thank us, as will your equipment. 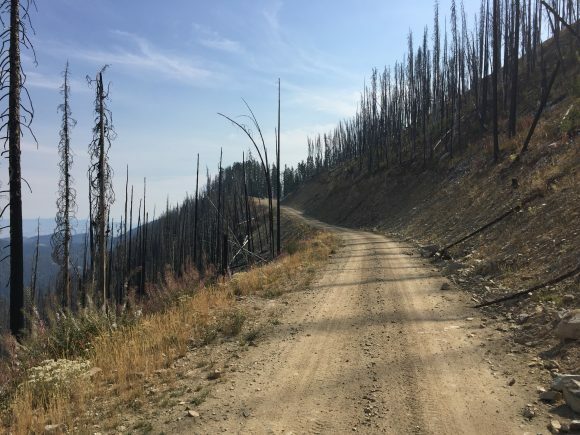 These rides are all about adapting, and rolling with what you get, whether it’s three feet of snow, rain all day, scorching heat, freshly graded roads, cattle drives… etc. In the end we’re in this together and we think that together it will be awesome! We appreciate you rolling with us, and look forward to seeing you all this Sunday in Ephrata for a very memorable edition of Gran Fondo Ephrata. Vicious Cycle Gran Fondo Series p/b NW Tri & Bike is finally here and we can’t wait to kick things off with Gran Fondo Ephrata this Sunday. We’ll have early check in available Saturday evening at the Pita Pit from 7:00-8:00 pm. The ride begins at the Ephrata High School Performing Arts Center. Check in will be inside the PAC from 7:00-8:30 am where you’ll need to sign the waiver and pick up your number if you haven’t already. Grande ride starts at 9 am, Medio starts at 10:00. It is important that you start in the correct group. It’s a good idea to familiarize yourself with the course (above). Better yet upload it to your device! Come prepared and ready for adventure. The weather is looking good but there is no telling with the crazy winter we’ve had. On course support is limited. Timing closes at 5:00 pm. Live results can be found on Webscorer. Please join us after the ride at the Ephrata Recreation Center for post ride meal. Need more gravel? Goldendale, Leavenworth, Ellensburg, and Winthrop, have your vitamin G fix. 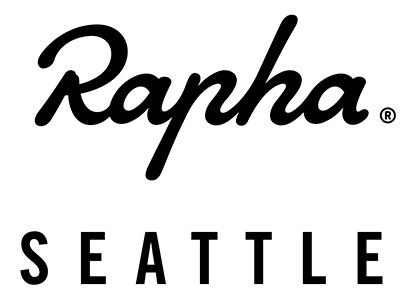 Tell them your in town for Gran Fondo! Thank you for your entry into the 2019 Gran Fondo Ephrata, we really appreciate you rolling with us, see you Sunday! We always like to say “come ready for adventure” aka when given lemons you make lemonade (or in our case snowcones). There are many moving parts to a ride like this and some of them we have zero control over. Like when you get pounded with two years worth of winter in two weeks. 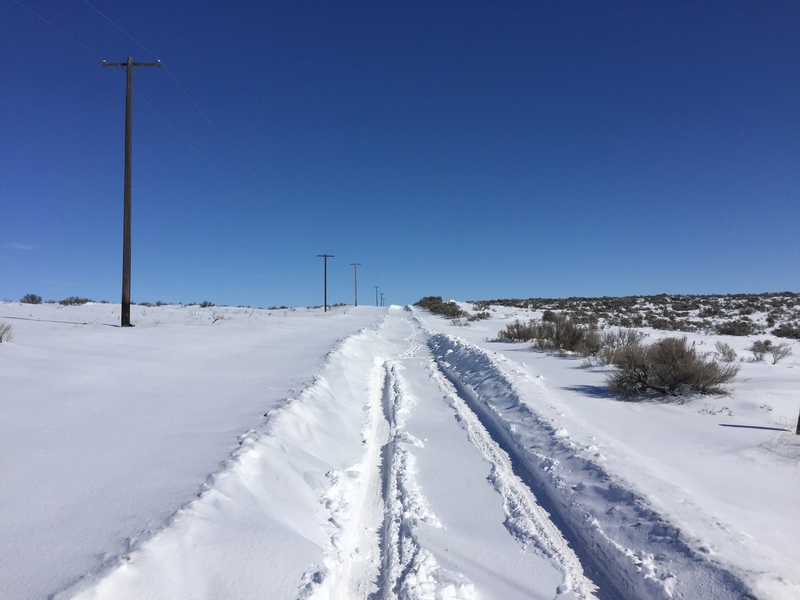 As we currently sit at two weeks out from Gran Fondo Ephrata we have parts of both courses impassible and under 4-6′ of snow. 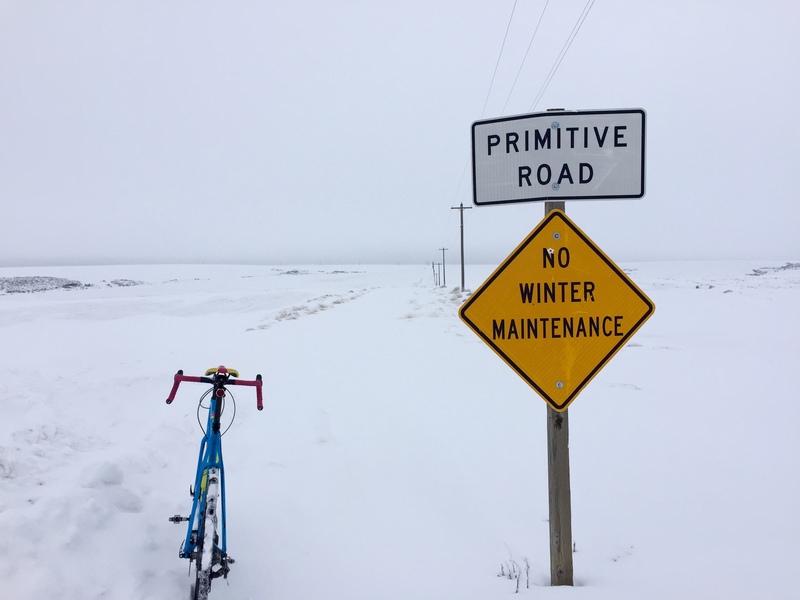 There’s also roads that are “passable” but not necessarily ridable. So what is the answer to all of this? Postpone? (Highly unlikely) Cancel? 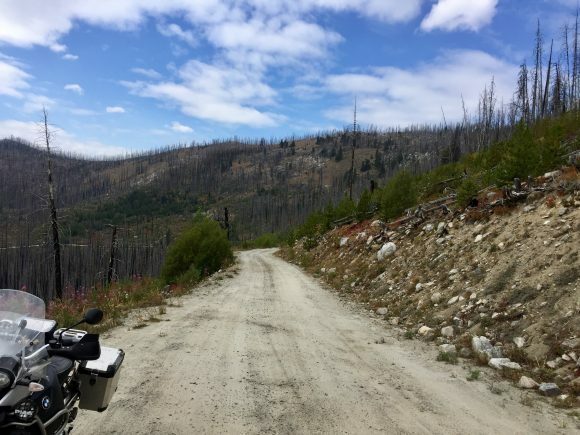 (Even more unlikely) Roll with it and make the best of it because gravel riding folk aren’t exactly ones to shy away from a little adversity? We’re liking that option. The 2019 edition of GFE will probably not look like any other one we’ve had. We even have a special issue GFE tshirt to commemorate (commiserate?) the whole spectacle. In the end we’re in this together and we think that together it will be awesome! Stay tuned, and come ready for adventure!!! EDIT: A lot can change in two weeks and we have a number of course options available, but if I were to take a guess right now I would say it’s looking like a Palisades out and back (which is currently clear of snow). That would land us approx 75 miles with 3500′ of climbing. We will edit as conditions permit. We were so close! December was great, January was still nice, no winter, then February came along and boom, full on winter. It’s not even so much the snow that was bad, it was the wind (and snow). Currently we have about 6-8 inches with drifts. Baird is closed which is not uncommon for this time of year, however the extended forecast of cold weather is a bit concerning. You knew that it was too nice last year, there was going to be a price to be paid. Gran Fondo Ephrata has a reputation for being epic and this year promises to deliver! This time of year there are many hazards putting on an event; fires, snow, sleet, torrential rain, cyclocross… so as you can imagine it’s always a relief to find our course in such good condition. That is of course assuming you’re idea of good, is a heinous amount of climbing over 90 miles of north cascade gnar. We are still one week out, so no promises as things can change fast in the high country, but so far things are shaping up for a great weekend, no smoke, highs around 70, and a splash of fall colors. We’ll be sending out an email to all registered riders with need to know last minute details, but a few freebies in the meantime: ride starts at 8:00am Saturday, it’s going to be colder than you think at 8am in Winthrop. It’s going to be even colder at 7000’. You will wish you had bigger tire. Nothing gets you more stoked about riding than getting a new bike. If that is not a true statement you should probably take up frisbee golf or something. 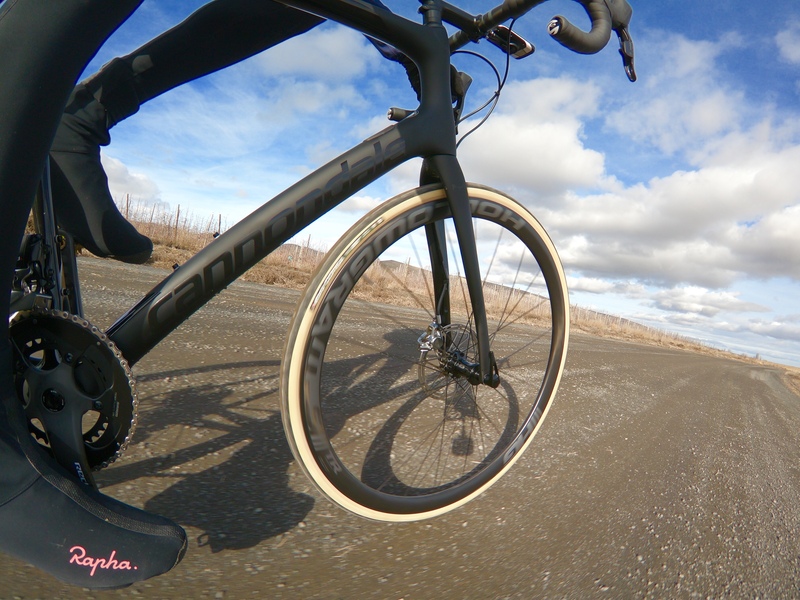 So when Cannondale/NWTB signed on as presenting sponsor of the Gravel Fondo Series you can bet my wheels where turning (pun intended). The Slate would appear to be designed by a disgruntled GFW participant sick of having the wrong bike. Monster truck tires and a Lefty fork make for a bomber package. Then you have the totally redesigned Synapse. A light, racy endurance road bike with disc brakes, thru axles, and clearance for 32’s. This bike screams GFE and GFG. I’ve been riding one for the last few weeks and I’m loving it. I’ll be sharing some of my adventures with it on here, you can also follow along on Strava. Better yet get some of that new bike buzz for yourself! Our friends at NWTB are giving a 10% discount to all Gran Fondo participants! Final pull up Freeze out pass. This was where they may have been a whiff of smoke in the air, doesn’t really show up in photo. Gran Fondo Ellensburg is sort of the new kid on the block in Vicious Cycle’s quiver of gravel grinders with this being the 3rd rendition of what is already established as a tough classic. One of its identifying features is the long ride on asphalt off the start before the real beat down begins. 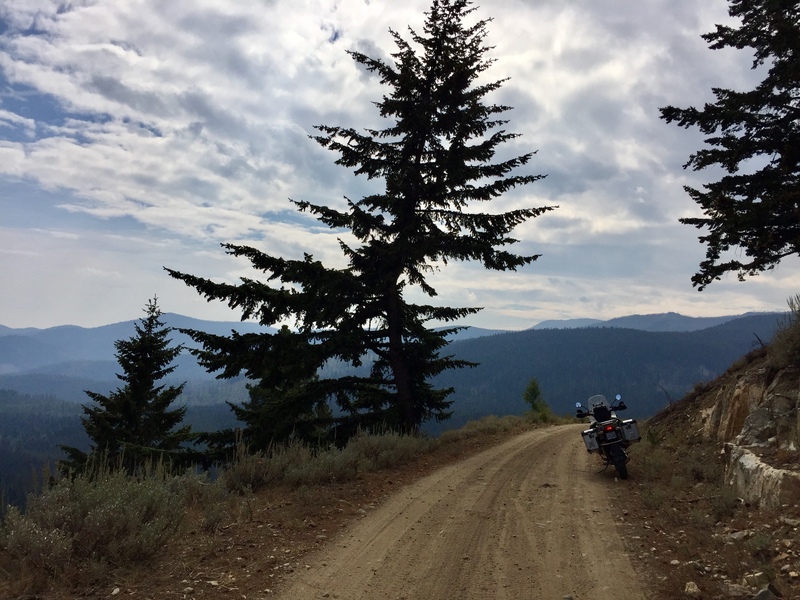 But this ride on Highway 10 from Ellensburg to Cle Elum is no picnic in itself. Besides the fact that it contains significant inclines there will be 2 other invariables at play: a robust headwind and some Audi guy trying to solo off the front and get away. Incredibly he has been successful in this endeavor the previous 2 years but the headwind was stronger this year thus thwarting his repeated attempts. But props to you brave sir for trying to animate things early. I wasn’t trying to animate things. I had done the NW Epic Series 60 mile mountain bike race at Echo Ridge the previous day and wasn’t feeling especially chipper. The wind and the hills and the fluctuating tempo were all conspiring to keep me from settling into a natural rhythm. It was necessary to keep one’s hands constantly on the brake levers and be very attentive to the ebbs and flows of the peloton. Eventually my legs came around somewhat and I started to feel better so shortly before we reached the busy Highway 97 crossing on the outskirts of Cle Elum I eased up towards the front to be vigilant of any small selection getting across before the main pack. Gotta keep an eye on those crafty Audi guys! But decorum prevailed and we all stopped and crossed as one big blob. I started taking longer pulls at the front and sort of became the de facto leader through the stops and starts of downtown Cle Elum. But already a time bomb was building in my bladder and I was furtively scouting potential detour sites, aware that I was going to have to exit the peloton soon, real soon. But then just as we were entering South Cle Elum and some good brushy roadside opportunities started to appear the fates threw me a bone; a train passed directly in front of us halting the entire peloton for the 4 or so minutes I need to take care of business these days on rides. Man, and to think my personal plumbing used to turn on and off like a German faucet. Once we got underway again I felt much better and was generally near the front for the next few miles until the pavement ended at the base of Mt Armageddon. At this juncture Evan Plews immediately went to the front and started pulling away while turning a huge single speed gear out of the saddle. Mimmo Futia went by me and then pulled over for a pee break (not sure why he didn’t take advantage of the train delay 15 minutes earlier for this like about 3 dozen of us) and then went by me again shortly thereafter on his way to taking the KOM. This climb seemed more onerous than in previous years for some reason. I recalled 1 to 3 really steep rough pitches but this year there were like 7 or 8 of them! It would be folly to think that Jake somehow sneaks up there in winter with a bulldozer to add several more vertical pitches but I don’t really have another explanation for it. 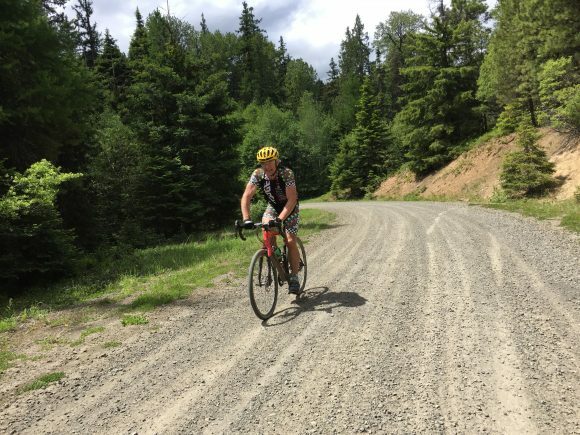 In fact I started to lose my normally unflappable demeanor after about the 11th tough steep section and was just about to dismount and walk when I heard Jake approaching on his motorcycle from behind. I didn’t want him to see that he’d gotten my goat and forced me to walk less than 30 miles into his fun little GF so I dug deep and soldiered on but it was a near thing. And as is typical in these Vicious Cycle Gran Fondos there would be multiple false summits before the real deal was reached. But I was wise to these from previous years and didn’t take the bait of sighing in relief too soon. At the high elevation aid station I was a little behind David Hendry but he managed to pull in and fill a bottle or two and then pull out before I was able to catch up even though I could see him the whole time! I seemed to be riding through deep sand or something. I took the descent sort of gingerly because the rocks are sharp in this section causing me a very time-consuming flat last year. And I particularly wanted to avoid that this year because I had, err, no pump with me. I had very boneheadedly left it on my mountain bike from the previous day’s race. A small detail I noticed when unloading my ‘cross bike in the pits that morning. Sure, if I raced for a big budget outfit like Audi or Taco Time I’d probably have a designated team issue pump for each bike but I ride for Ridge Cyclesport where we eschew materialism for esprit de corps. Still a pump would have been nice. 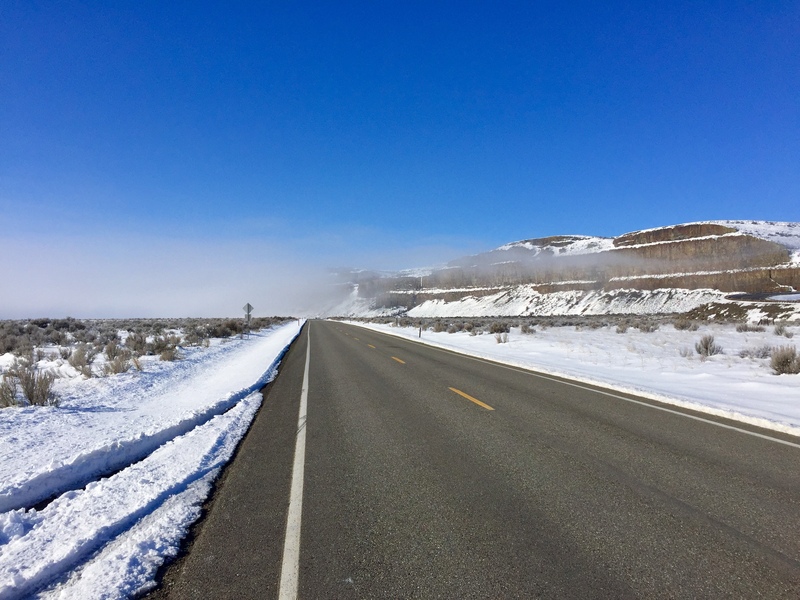 And just like the previous day in Echo there was a big ominous looking dark cloud hovering above us and it was decidedly cold with even small pockets of snow still on the side of the road. Those are some of the worst conditions for changing flats in my opinion. But all was well and I got down no problem. In fact I didn’t suffer any mechanical issues all day long besides the obligatory ejection of my water bottle an hour later shortly after passing Thomas Baron and David Hendry on the descent into the main aid station. I stopped there to fuel up and empty the ole bladder once again. That was the most urgent thing so I attended to that first but immediately got to thinking how inefficient it was. A thoroughly analytical guy like David Hendry would never waste precious minutes by just peeing. He would be eating or lubing his chain at the same time. But I had already started when this occurred to me and could not, in good conscience, ask for Jake or Maddie to pass me a handful of potato chips. At least 4 riders went past while I was lollygagging here including both Thomas and David and another few arrived whilst I was occupied with meticulously sticking 6 fresh Shot Blocks to my top tube and just generally behaving as if the clock had been paused. But it was a good pit stop and I felt strong as I pulled away and pretty quickly re-passed 2 guys on the rough, washboarded climb that followed. From this point on I would be alone and never encounter another rider all the way to the finish. Oddly it’s been like that every year for me at this event, I’ve always ridden the long road back from Cle Elum to Ellensburg alone. And I was sure I was catching someone on the final dirt / gravel road descent because the dust in the air kept getting thicker and thicker. I assumed it was either David or Thomas but when I eventually caught up I discovered to my dismay that it was just some random guy on a motorcycle, boo! I dropped him and then had a big white Suburban fly up the road past me at about 55 mph spraying gravel and kicking up more dust. Then 2 more motorcycles, a car, and finally 2 cyclists….but not GF competitors; just a dad and his son out for a ride, and the kid damn near ran me off the road by edging further and further left oblivious to the fact that there was someone fast coming up on him from behind. It’s always a bit of a relief to reach the pavement because that generally means the likelihood of a flat is significantly diminished. And it is a pretty ride on a nice surface but, like the ride out, it contains some semi-significant inclines. Usually there is a good tailwind but on this occasion it was notably absent. Probably figured it had worked hard enough in the morning blowing against us that it could afford to take the afternoon off. 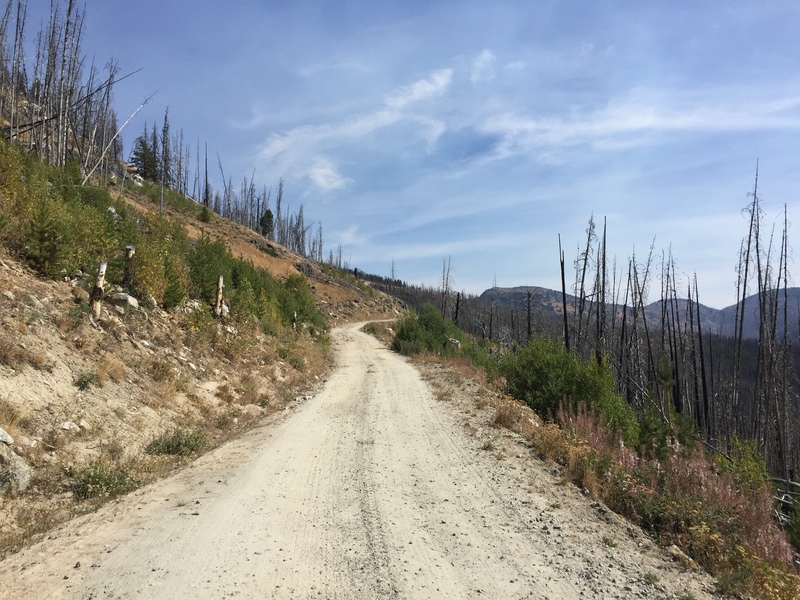 I felt good, not great, for the ride to the finish and resisted the urge to peek behind me until reaching the first concrete bridge on the John Wayne Trail about 2 miles from the finish. I thought I saw a speck in the distance but couldn’t be certain and unless it was Fabian Cancellara he wasn’t going to catch me anyway. I had been straining my eyes forward however and mistaking every mailbox and roadside shrub for a tiring Thomas Baron or an exhausted David Hendry but to no avail. Alas, on this day they were the hammer and I was the nail.